What defence, you have a few (56) short range nuclear tipped interceptors based around only Moscow. The use of just one of which would EMP your entire defence grid in that area. Meanwhile the US have 212 (at last look) GMDs and countless SM-3s and THAAD. Warheads would get through in either case, but clearly 56 short range interceptors cannot stop 400+ ICBMs with 1500+ warheads. All what I know is a rumours, nothing more. ABD is a complex thing, including different elements. First line of ABD going in your HQ, plants and info-links. Traitors, saboteurs and super-duper "Russian hackers". Second line is jamming of sensors of orientation system on the buses and warheads. Third - is jamming radioaltimeter of warheads. Then - new versions of soft for S-300, S-400 and S-500 allow them intercept warheads of ICBMs. Of course, it is not "absolute" defence. But it can stop 99,9% of ICBM's warheads. So far none of Russian Air Defenses has slowed down the USA or Israel when it comes to missiles or planes. Saddam had next to Moscow the most robust air defense in the world and they were useless. Russia cant stop either USA or Israel attacks in Syria. Tactics and weapons can always over come a defensive system. The USA could not stop a determined attack by Russia on Washington neither could Russia stop an attack by the USA. S-400 is only capable against targets up to 4800m/s. S-500 is not deployed yet, at least not in significant numbers. Warheads and buses have VSG as a backup in case GPS or rad-alt is jammed. The launch system also has redundancy. Did I mentioned HAARP can fry warhead and warhead bus electronics? S-400 is only capable against targets up to 4800m/s. Export modifications - may be. For "home usage only" - much better. And yes, with nuclear warhead you don't need precise hit. Warheads and buses have VSG as a backup in case GPS or rad-alt is jammed. The launch system also has redundancy. Really? Your buses have GPS? Funny. No, I mean jamming of VSG with lasers. I don't mean, that we shall block launch system. I think, we can choose coordinates of targets and flight plans of missiles. Didd I mentioned HAARP can fry warhead and warhead bus electronics? May be. May be not. Actually I very doubt in it, but we shall see it soon. There are no nuclear warheads on S-400 missiles and it lack HTK technology. Only Gazelle has nuclear warhead. VSG is internal. 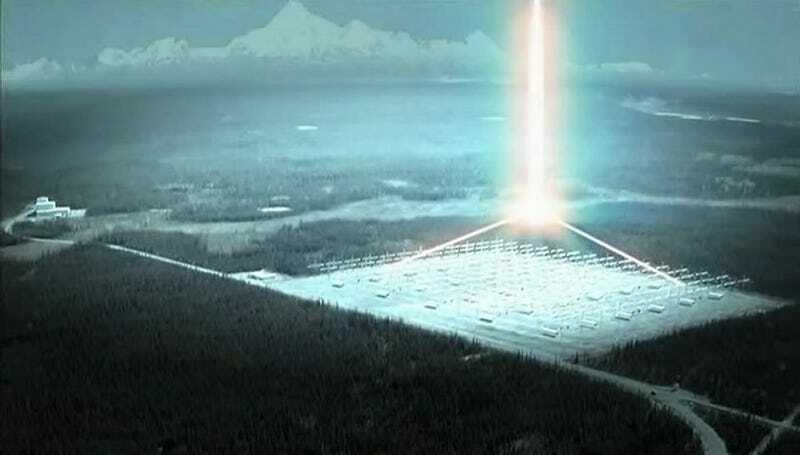 Gyros sense only accelerations, they do not need any information from outside world..
5.1GW aimed straight at the ionosphere. Contractor is military. There are possibly other assets capable of delivering warheads too. Like whatever underwent a nose gear collapse at Boscombe Down in 1994 that caused the surrounding area to be cordoned off. X-37... SM-3 has also hit object doing 10km/s. According to the forecast, Russia’s territorial losses will not be limited to the European part of the country. Its control over the North Caucasus is also predicted to “evaporate,” while maritime regions in Russia’s Far East will “move independently” to the countries they are “closely linked to” – namely China, Japan, and the US. Additionally, Karelia will “seek to rejoin” Finland. The US think-tank, sometimes referred to as a “shadow CIA” due to its employment of former CIA analysts, also warns that this time Russia's alleged tendency of solving problems with "secret police" won't work, and the Federal Security Service will be unable to rescue the country. Despite all of the other advances made for the modern battlefield, air superiority is still a top priority to war planners in any theater. The aircraft received its baptism by fire in World War 1, having since evolved to the mounts of today utilizing stealth, supercruise technology and precision-guided munitions. For the purposes of the GFP ranking, both fixed-wing and rotary-wing aircraft are taken into account. Air Force, Army, Navy and Marine air services for each respective nation are all considered as are trainers, transports and the like. Note that aircraft on order heading into the new year are NOT taken into account. Total Aircraft strength data through 2017. Really friends, you are so uninformed. We are Russians, we like nukes and we make nuclear warheads to everything, that can bring them, including AA-missil and artillery shells. And yes, if S-300, S-400 have no nuclear warheads, what was delivered in Syria by "Yauza"? You're making truly extraordinary claims now. Not only nuclear warheads on S-400 missiles but nuclear warheads in Syria. Like Israel wouldn't have said something about that. Averageamerican and Sweet-detention like this. Israel know it. Really there are many Israelly guys in Russian military forums, in difference with British (may be fortunately) or Indian (unfortunately). That's why Israel work together with Russia (in strategic meaning). One thing Russian knows is if they furnish nuclear weapons to any one that are used on Israel, many Russian cities are going to be radioactive holes in the Grounds. War with nuclear state is a nuclear war. Israel understand it, too. Sure, you can try. But how many of your warheads will hit our bases and cities - it's a question. I doubt that there will be many of them. There is no way Israel would allow nuclear warheads in Syria, nor would the international community.